CRIAH — the Coalition for Research to Improve Aboriginal Health — brings together the expertise of the Aboriginal community controlled health sector and researchers to improve Aboriginal health in NSW. This includes strengthening the capacity of Aboriginal community controlled health organisations to conduct research and supporting Indigenous researchers. It also means fostering research collaboration. For example, the CRIAH Tools for Collaboration is a compilation of resources and guides developed to assist researchers to respectfully and appropriately approach and engage with Aboriginal communities. These tools provide researchers with some of the information they will need to work in partnership with Aboriginal communities. Download CRIAH Tools for Collaboration (PDF 63 KB). One example of how CRIAH is enabling research partnerships between Aboriginal communities and researchers is SEARCH, the Study of Environment on Aboriginal Resilience and Child Health. SEARCH is a large-scale, ongoing study of the health and wellbeing trial of 1500 urban Aboriginal children and their families. Using studies like this, CRIAH will encourage the use of research findings to improve policy and practice in Aboriginal health. 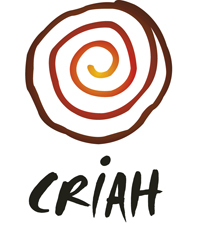 CRIAH provides opportunities for researchers and the Aboriginal community-controlled health sector to engage and exchange ideas. For example, every three years, it holds a major conference to showcase Aboriginal health research in NSW. The third CRIAH conference, Research for a Better Future, was held in 2011 and attended by more than 300 people from Aboriginal Medical Services, universities, the health sector and government. For a conference overview, visit our events section.